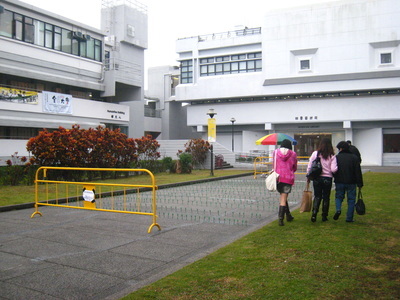 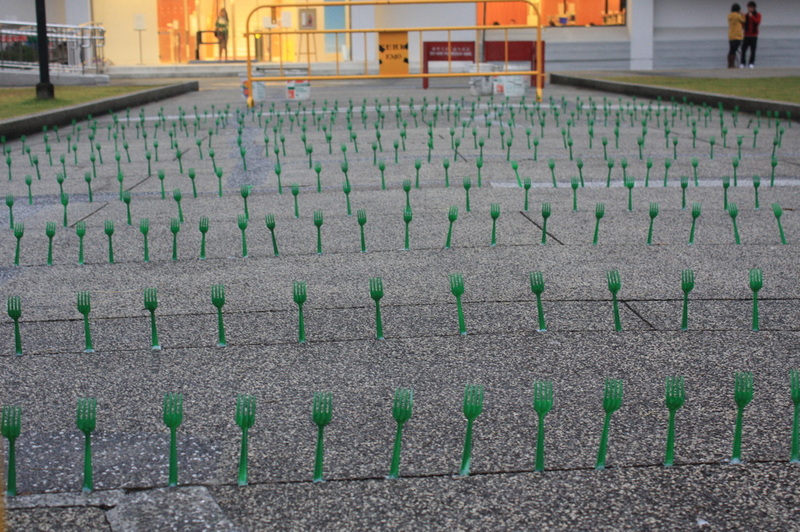 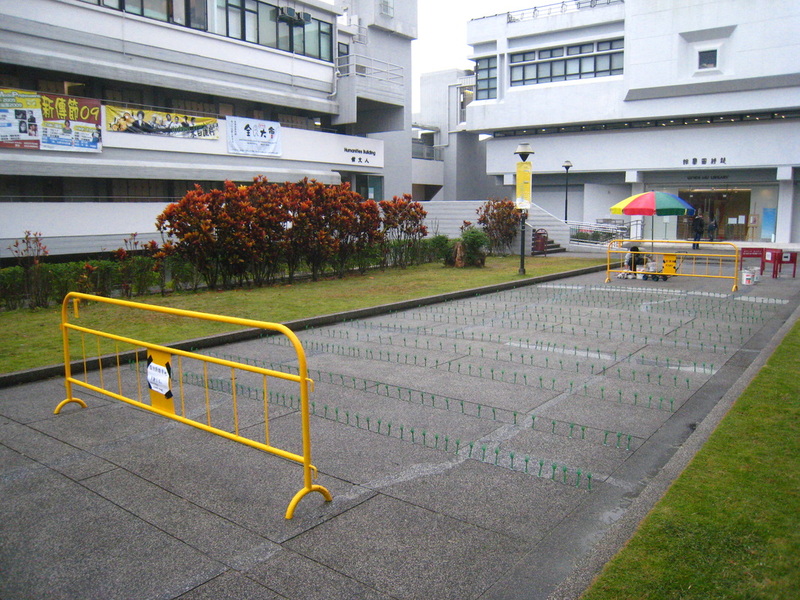 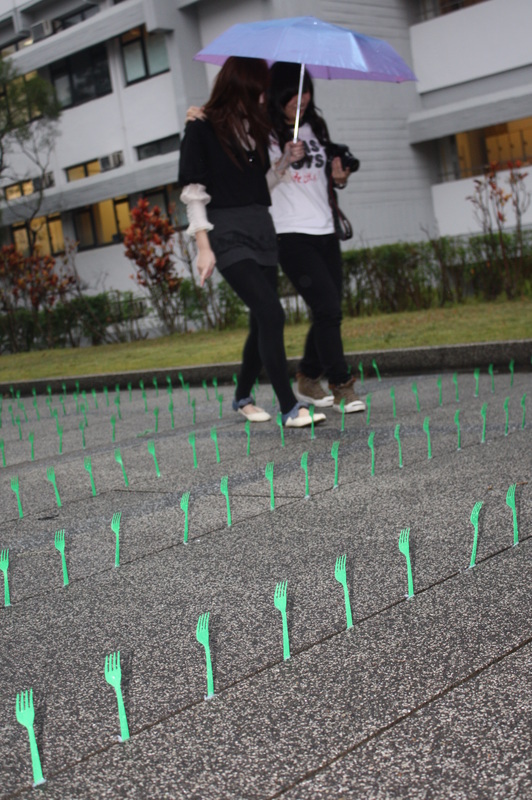 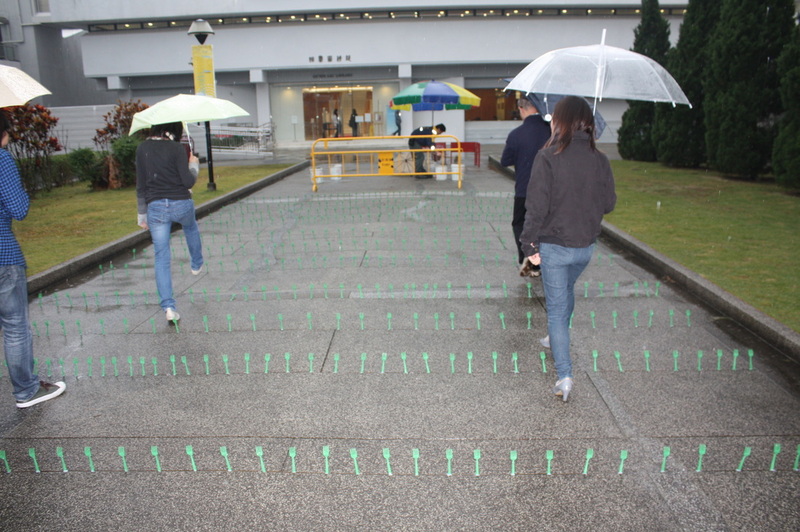 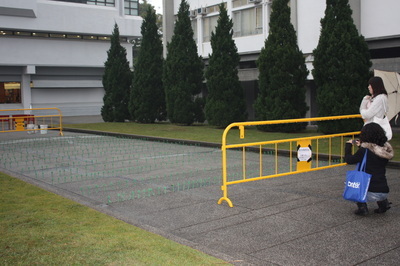 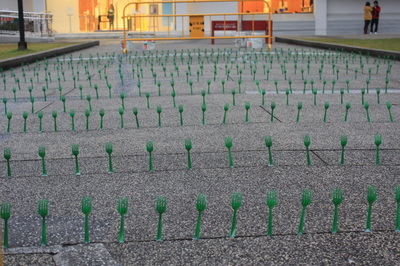 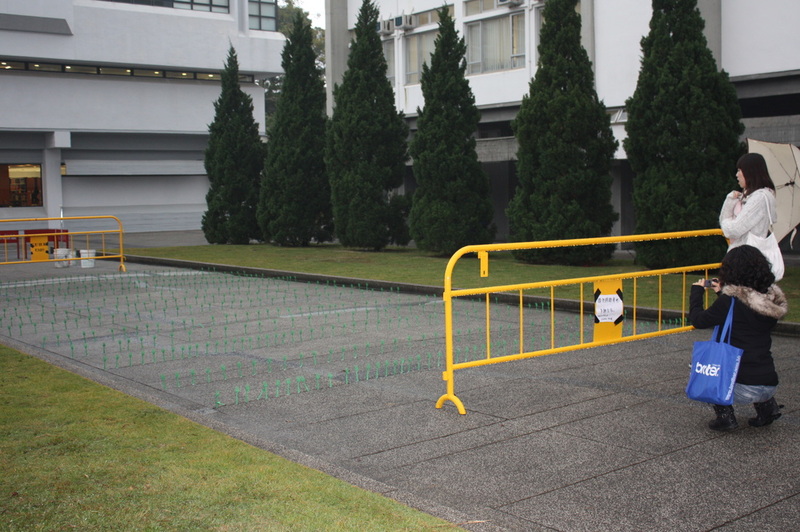 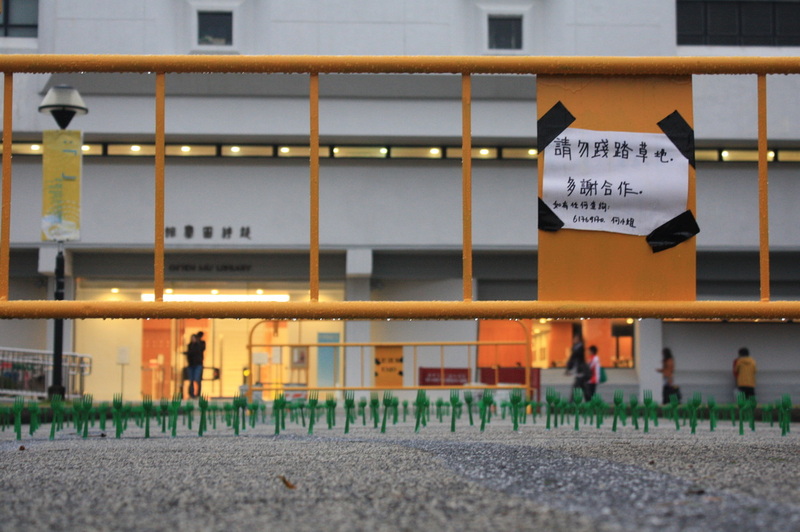 ‘I Planted My Green Garden’ is represented by the ‘grassland’ I created by putting lines of forks on the main passage in New Asia College of the Chinese University and two railing stands with the ‘Don’t Step on the Grass’ signs at both ends of the passage. 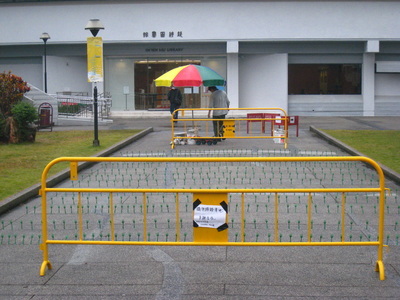 This is to respond to the fact that the passage is mostly used for photographing or official activities instead of students crowding around discussing on academic subjects. 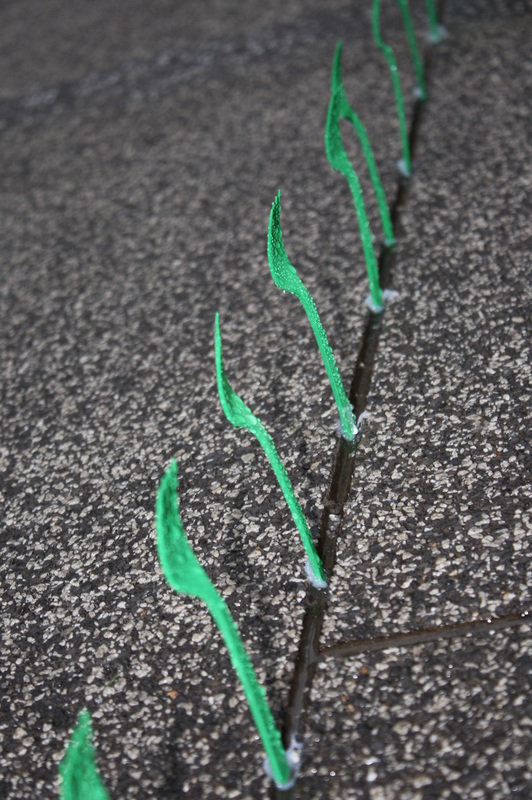 Interesting phenomena occurred. 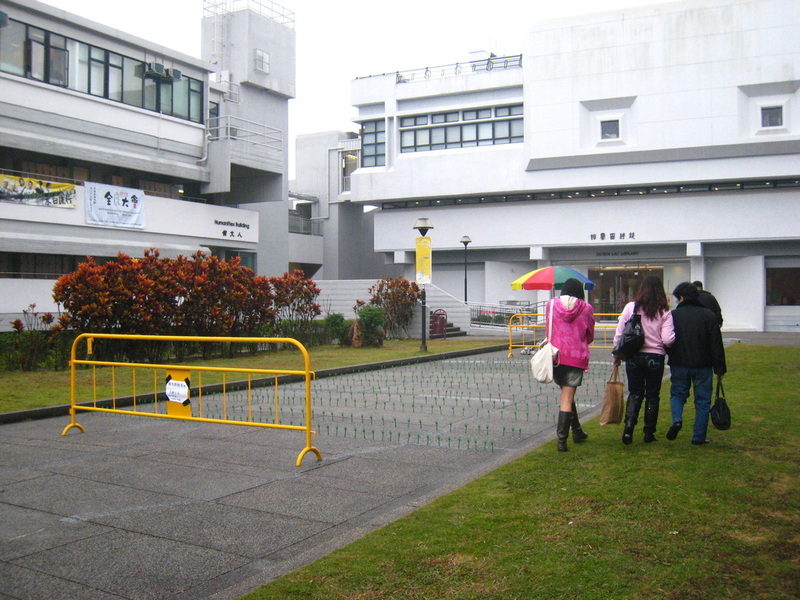 Some people avoided the passage and unintentionally walked on the real grasslands on both sides of the passage. Some ignored the ‘Don’t Step on the Grass’ signs and stepped on the passage directly, finding fun to walk to and fro between the fork lines. I appreciate the latter for their courage and their sense of humour.